David Beardsell is a bit of a legend when it comes to brewing in BC. He has been a craft beer aficionado since before craft beer was really ever booming and he’s played a direct or indirect role in the opening of eleven breweries throughout his career (thus far). He is currently the owner and operator of Red Collar Brewing Company, which opened in 2014 in Kamloops. David began homebrewing in the ‘80s when the foundations of the industry were just starting to be built in the province. After solidifying his passion for beer by getting a formal education in brewing in the Old World (in Munich, Germany), David travelled the globe with his wife, Annamarie, to learn more about the industry, to practice his brewing skills, and to eventually settle down back home in BC to share his lifelong passion with others. He opened Kamloops’ first microbrewery, Bear Brewing, in 1995 and went on to have a hand in the opening of the Noble Pig Brewhouse before starting up Red Collar. But this article isn’t (really) about him. Instead, it’s about the legacy he’s leaving to the next generation of Beardsells as he plans to take more of a step back in the day-to-day operations at the brewery. Annamarie, Lara, and Tessa Beardsell have been on the periphery of the beer world for over two decades, in large part thanks to the beer-obsessed man in their life. Annamarie, David’s wife, has been a supporting figure and the matriarch at Red Collar since it opened its doors. Lara and Tessa, the two daughters, have recently taken a more active role in running the brewery as well, with plans for them to really take over coming to fruition over the next few years. Tessa is currently running the front of the house at Red Collar, ensuring that the atmosphere in the tasting room is inviting, warm, and friendly. Lara is in charge of sales and marketing and is regularly driving down to the lower mainland and Vancouver Island to deliver Red Collar’s beers to the more urban market. As second-generation operators of the brewery, Lara and Tessa are bringing “young blood” into the business. They’re helping the local market, the brewery, and the family go through some growing pains in an effort to stay on course in this ever-changing and evolving industry. Lara and Tessa are both in their 20s. They grew up in Kamloops and have spent their whole lives surrounded by the local craft beer ecosystem. After venturing out into the world to pursue studies and to travel, they’ve both decided to return to their hometown to carry on the family business. 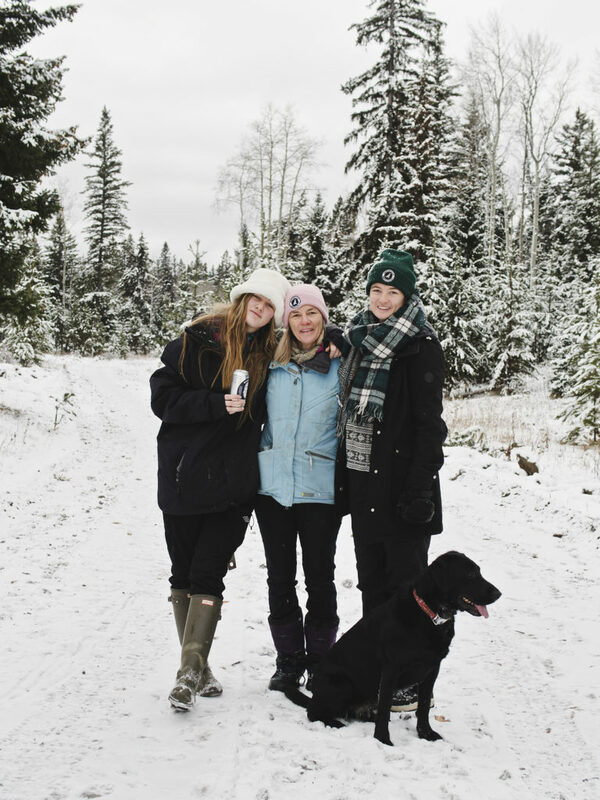 Their teen years often involved helping David and Annamarie with a new beer-related business venture and so the women have developed a deep appreciation for quality craft products. They’ve naturally developed a good sense of entrepreneurship as well, having the chance to absorb the lessons and experience required to successfully run a business in this industry through the years they’ve spent being raised in it. Their involvement in the brewery has also allowed David to keep his finger on the pulse of the local craft beer drinker’s palate. As a passionate brewer, David is well versed in the traditional styles of beer from the Old World and often prefers brewing them. But, over the years, he’s been cajoled by his daughters to incorporate more New World styles and flavours into his brewing repertoire as well. Entering the craft beer drinking world by way of Mt. Begbie’s Nasty Habit IPA and Driftwood Brewery’s Fat Tug IPA, Lara and Tessa have been influential in adding beers like the “Impeachment” tart and peachy wit and the Squash Gourdon triple SMASH to Red Collar’s taproom list. 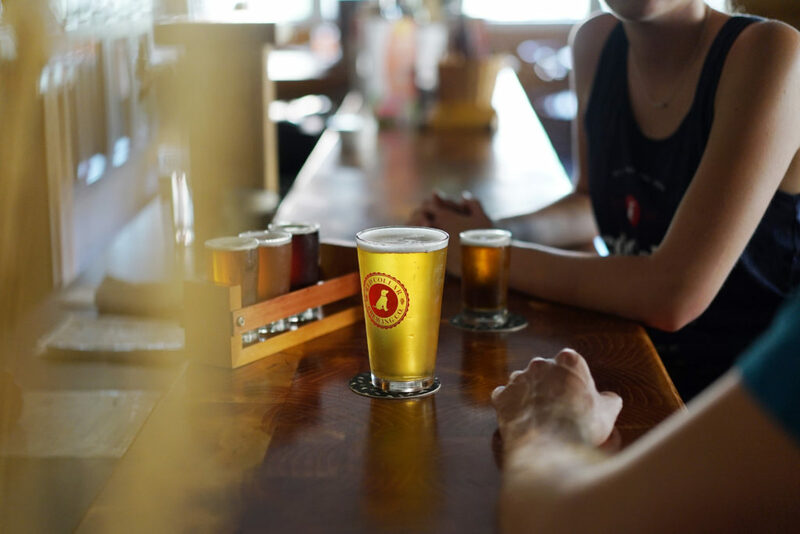 This balance between old and new, between young and not so young anymore, and between innovative creativity and traditional consistency are what has helped Red Collar establish and maintain a leading role in the region’s craft beer industry. But the region has also proven to be difficult in terms of growth and, as David and Annamarie take more of a step back to leave “the kids” to run things, this family of beer makers and sellers are adjusting to match the pace of expansion. It’s a challenge for many fledgling craft breweries to keep brewing relevant beers that sell well. Especially in BC where profitable breweries (particularly those outside of craft beer capitals like Victoria and Vancouver) often depend upon appealing to a wider audience, creating beers that both the “rural” beer drinker and the urban dweller will enjoy is key to succeeding in today’s craft beer market. Red Collar has managed to appeal to both types of consumers thus far, steadily growing their sales year after year. But thriving in this already highly competitive industry comes with obstacles, particularly in a smaller city like Kamloops where the limited beer-drinking market makes retaining talent and accessing adequate space and resources much more difficult to come by. Now that the initial craze in the market has started to settle down, the challenge of growth is made even more obvious by the simple circumstance of location. There are a lot of business decisions that need to be made when starting out a new venture, and brewing quality beer for a living is often contingent on where you brew. A large component of beer is water and, as it turns out, Kamloops has water quality that’s very similar with the water found in Germany and the Czech Republic, two of the Old World’s big brewing nations. This, along with the need for a good place to raise their family, was a deciding factor for David and Annamarie when they were looking for a place to settle down in the early 1990s. 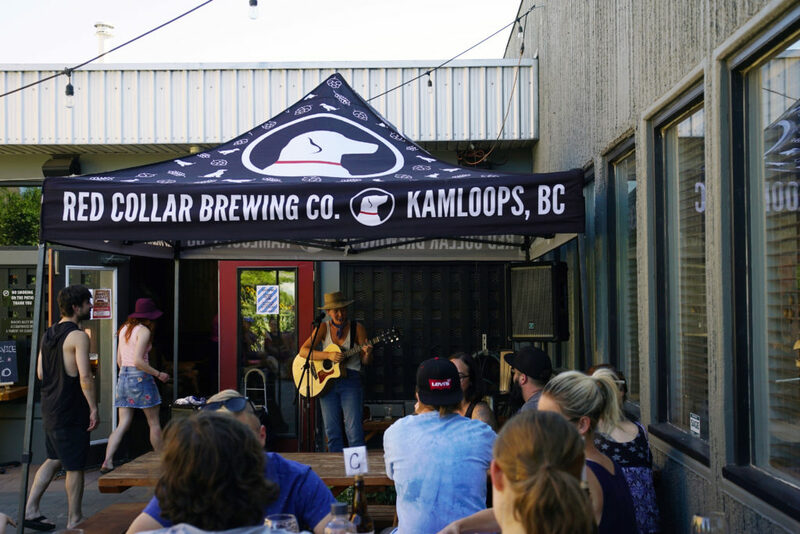 At that time, Kamloops was a small town with lots of outdoor activities, an untapped market of craft beer drinkers, and access to the space and resources that a business venture like a brewery needed to succeed. It seemed like the perfect place to set up shop and, when Red Collar opened in the heart of downtown in 2014, it became the third craft brewery (of three) built to serve the local market. One could argue that this was a blessing – a lack of competition usually means a higher percentage of market share. But part of the challenge in operating a brewery in areas like the interior has been the demographic makeup of the market itself. For someone that’s used to drinking a six-pack of Pilsner over a weekend, enjoying a pint of Doppelbock might be a bit more daunting so educating local beer drinkers to embrace the abundance and range in variety that craft beer offers has been one of Red Collar’s main tasks. In many ways, though, Kamloops is still the perfect place for Red Collar to continue thriving. The small city, situated in a river valley that’s surrounded by lakes, forests, hills, and mountains, offers a more affordable lifestyle than the likes of an urban centre. But for out-of-towners that haven’t experienced “small town” living before, adjusting to the lifestyle that comes built into living in more “remote” locations can be tough. Even though there are plenty of activities to partake in (including the second largest ski resort in Canada, Sun Peaks), population growth in Kamloops has been slow and so finding, attracting, and retaining the talent needed to sustain a business, especially a brewing one, has been one of the more difficult aspects to navigate through. However, Lara and Tessa are seeing this slowly change as more people begin to see the value of a place like Kamloops in terms of both affordability and overall lifestyle. Population projections see Kamloops hitting the 100,000 resident mark in the next year or two and this slow growth is estimated to keep going, something that gives both Lara and Tessa hope for the future of the business. With a solid foundation and understanding of the industry that’s been built into their childhood and the way they were raised, Tessa and Lara will soon be at the helm, steering the Red Collar Brewing team through murky waters as the industry continues to evolve. They’re both confident in the changes that will occur and are looking forward to seeing their small city attract more young, fresh blood that keeps working towards making Kamloops a bustling craft beer hub. While David’s ultimate goal would be position Red Collar as more of a production brewery, the reality of today’s craft beer market in Kamloops would make this difficult. In the summer months, the brewery’s current space is brewing at capacity and expanding into a bigger space is something that is contingent of the growth of the local market. If this growth is slower than anticipated, maintaining the status quo is more likely for the time being. Another possibility for the brewery is to branch out and explore other craft beverages (something that another family-run brewpub, Spinnakers, has also done in Victoria with their ciders and blends). All three Beardsell women have seen the change in the industry as its evolved over the past two decades. Annamarie, in particular, has travelled the world with her brewing husband and has been exposed to beer culture at various levels. 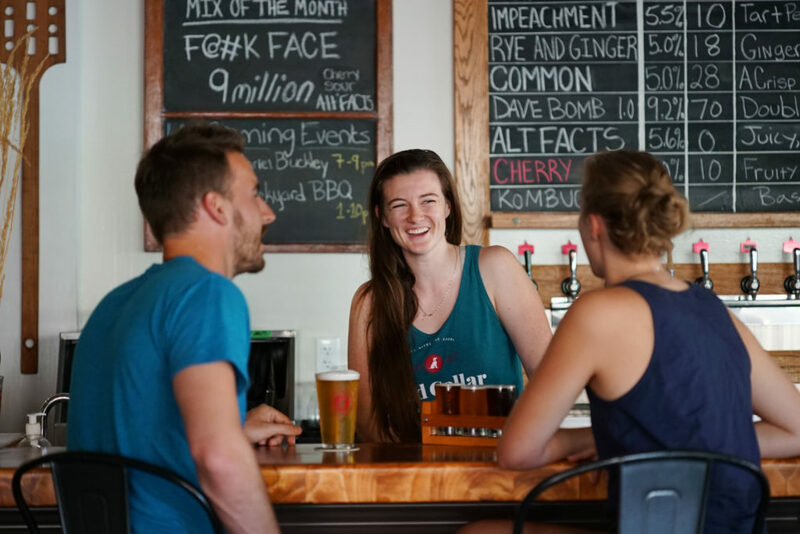 She’s seen how more women (including her own daughters) have become interested in beer and is thrilled to see this trend carry on within the walls of Red Collar’s taproom. Whether it’s someone meeting their Tinder date, a regular popping in to try a new style, or simply a tourist enjoying a casual afternoon beer with a book, women are becoming a larger part of the craft beer consuming demographic. And facilitating that exploration for more women, and people in general, is something that the Beardsells hope to continue to do as the industry evolves and changes (and as their own brewery transitions to follow suit). Lara and Tessa will keep developing and encouraging the love of craft beer that has been passed down to them by their parents. They will continue to be the backbone of Red Collar and are engaging with the community at large by partnering with local organizations and groups to host events and bring craft beer knowledge to more locals. 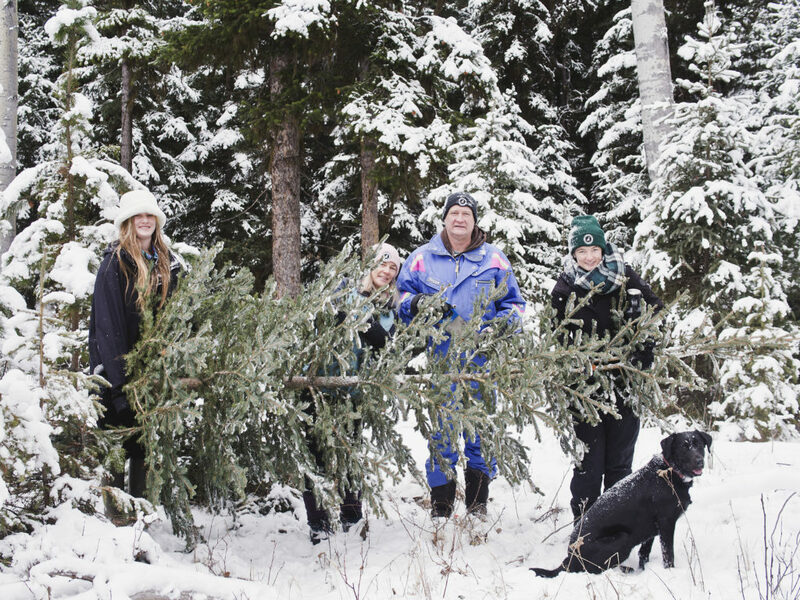 And, as the local market gathers more knowledge and opportunities to explore the world of craft beer through festivals like Brewloops multiply, both women are excited to carry on what’s becoming a Beardsell family tradition. They’re especially motivated by a desire to show the province (and the world) what Kamloops and the rest of the triang-ale trail has to offer, both in terms of quality craft beer, and in terms of amazing lifestyle.